One year later, where are they now? On Saturday, Oct. 7, an Amber Alert was issued for 3-year-old Sherin Mathews after her adoptive father, Wesley Mathews, called police and alerted them of her disappearance. At that time, Wesley told police he took his daughter, Sherin, outside at 3 a.m. on Saturday to discipline her for not drinking her milk. According an affidavit, he told her to stand near a large tree in the backyard. When he went outside 15 minutes later, his daughter was gone. Wesley told police that coyotes had been spotted in the alley where he left his daughter. The house in the 900 block of Sunningdale backs up to railroad tracks. According to Richardson Police Sgt. Kevin Perlich, authorities weren't called to the home until some five hours after the child was last seen. "While he was waiting he did a little laundry and hoped that the light would come around and he could do a better check," Richardson Police Sgt. Kevin Perlich said. Wesley was arrested the same day Sherin was reported missing and charged with abandoning or endangering a child. On Sunday, Oct. 8, he was arraigned on the endangerment charge and a judge set his bond at $250,000. He was released from jail a day later. Wesley was placed on electronic ankle monitoring and surrendered his passport as a condition of making bond. Two days later after the original alert on Monday, Oct. 9, the Amber Alert was canceled. According to police it was canceled due to a shortage of leads and information. Police canvassed the area for days while neighbors were posting new fliers around the neighborhood and organizing search parties through Facebook groups. At the time, police said Sherin's adoptive mother, Sini Mathews, claimed to be asleep during the incident and did not face charges. The Mathews have a biological 4-year-old daughter who was removed from the home and placed in foster care during the time of Wesley's arrest, according to Marissa Gonzales, a spokeswoman with Texas Department of Family and Protective Services. Detectives in Richardson filed at least 30 search warrants related to the investigation. Search warrants obtained by WFAA reveal FBI detectives seized a variety of electronics, including five cellphones, three laptops, a tablet, and a digital camera from the family home. In total, FBI agents listed 47 items seized from the home, including trash bags, a pink blanket, and a pink t-shirt. In another search warrant for the family's 2013 Acura MDX, detectives collected a floor mat, DNA swabs, and a USB drive. That vehicle is at the center of the investigation as Richardson police have said the vehicle was not at home between 4 and 5 a.m. the morning Wesley says his daughter disappeared. Search warrants were also conducted on two other vehicles owned by Wesley and Sini. Both indicated multiple swabs were taken from the vehicles, but detectives said the focus of their investigation remained on the whereabouts of the Acura SUV. 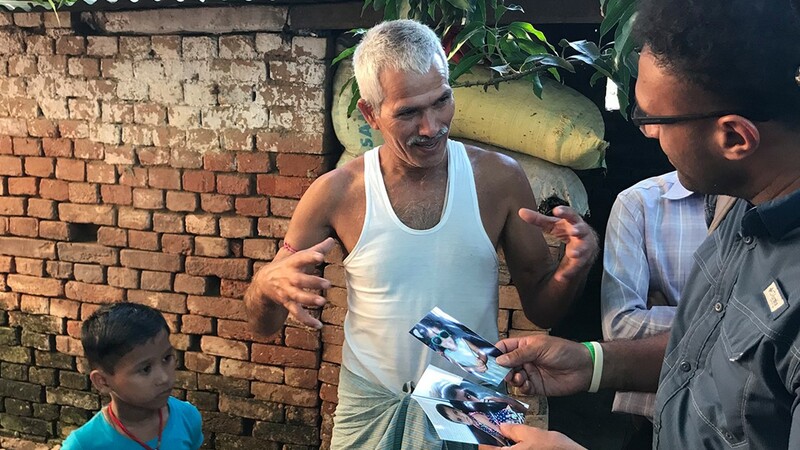 After missing for two weeks, countless search efforts by police, and community members, a small child's body was found in a drain culvert during a search operation on Sunday, Oct. 22. The culvert is less than a mile away from the Mathews' home. Police were not able to immediately identify the body. Two days later, on Oct. 24, The Dallas County medical examiner confirmed that the body found was that of Sherin Mathews. Officials were able to confirm her identity with dental records provided by Sini. An arrest warrant obtained by WFAA detailed the conflicting story that led to the re-arrest of Wesley on Monday, Oct. 23. The warrant states that Wesley told police Sherin choked on milk in the early morning hours of Oct. 7 and "believed she had died." He alleged that he had been trying to get her to drink her milk in the garage at about 3 a.m. He said he "physically assisted" Sherin in drinking her milk when she wouldn't listen to him, according to the warrant. "She was coughing and her breathing slowed," the warrant reads. "Eventually, Wesley Mathews no longer felt a pulse on the child and believed she had died." He then admitted to police that he removed the body from the home, the warrant reads. In his initial interview with police in the days after Sherin's disappearance, Wesley had said he put Sherin outside as punishment for not drinking her milk. On his second arrest, Wesley was charged with felony injury to a child immediately after providing investigators at the Richardson Police Department with the conflicting story. 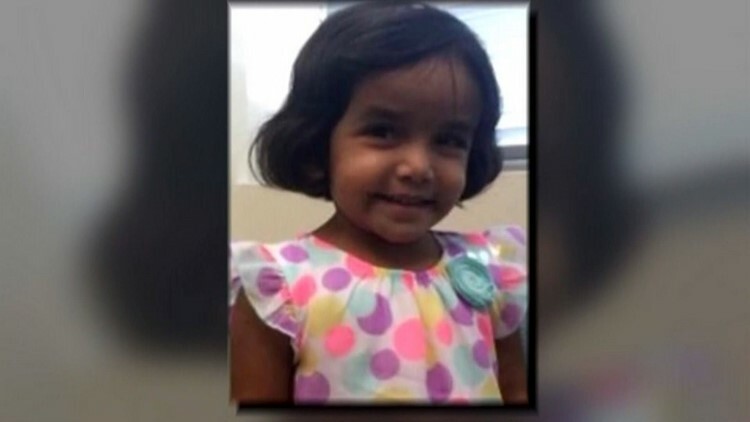 "When they came in, they provided us with some information that was contrary to what we had previously been told regarding [Sherin Mathews'] disappearance," said Kevin Perlich, Richardson PD spokesperson. Wesley's bond has been set at $1 million and he was transferred to the Dallas County Jail as of Wednesday, Oct. 25. Wesley is currently under protective custody and suicide watch, a common practice with high-profile cases. "It is possible that he could bond out again," Perlich said. Sherin had been abandoned by her biological parents for reasons we may never know. She had been found close to a bush at a nearby train station in the city of Gaya, India. Social workers found her and took her to an orphanage in another city, Nalanda, almost two hours away. Sherin lived in an orphanage formerly known as the Nalanda Mother Teresa Anath Seva Ashram. She had lived there since she was an infant. At the time of her stay in the orphanage she was named Saraswati. Orphanage workers did not know her real name when she was found. 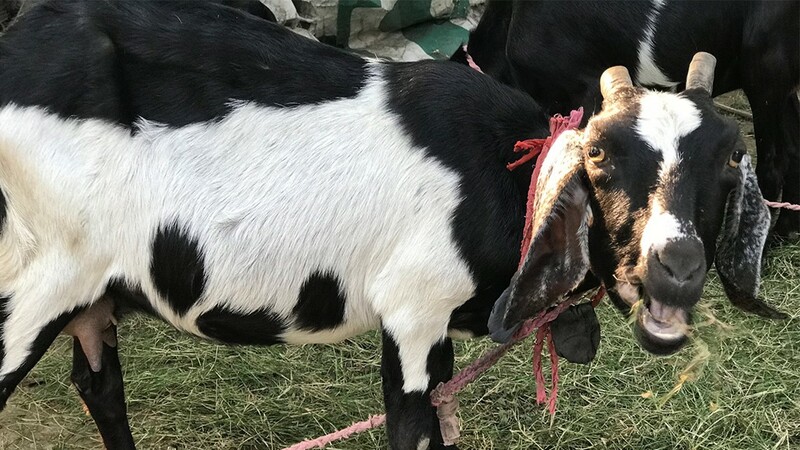 WFAA sent a team of journalists to Bihar, India to learn more about Sherin's life as Saraswati, before she was adopted and brought to Dallas as Sherin. Saraswati's meaning has religious ties, it is the name of a Hindu river goddess. It was Sini and Wesley that gave her the name Sherin. Babita Kumari, Sherin's caretaker at the orphanage, gave WFAA an inside look at how she behaved while she was in her care. 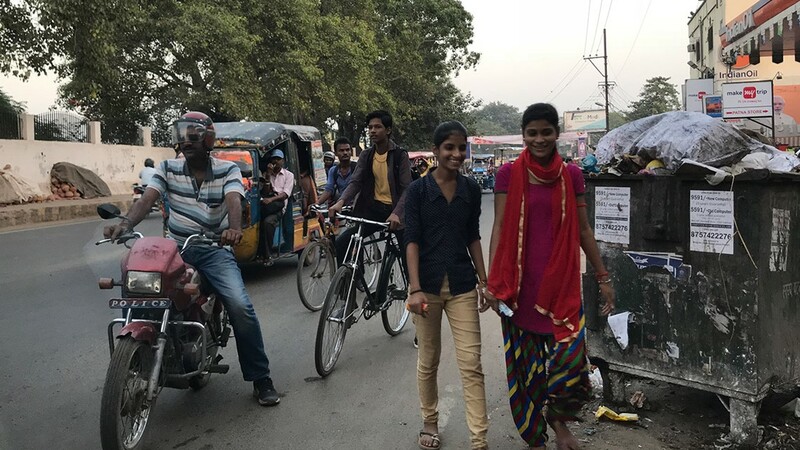 Kumari explained that the children she used to take care of at her adoption agency never knew a real mother or father. This was especially true for Sherin -- she used to call Kumari "mumma." Sherin spoke Hindi with Kumari and the other children, the native language in North India. 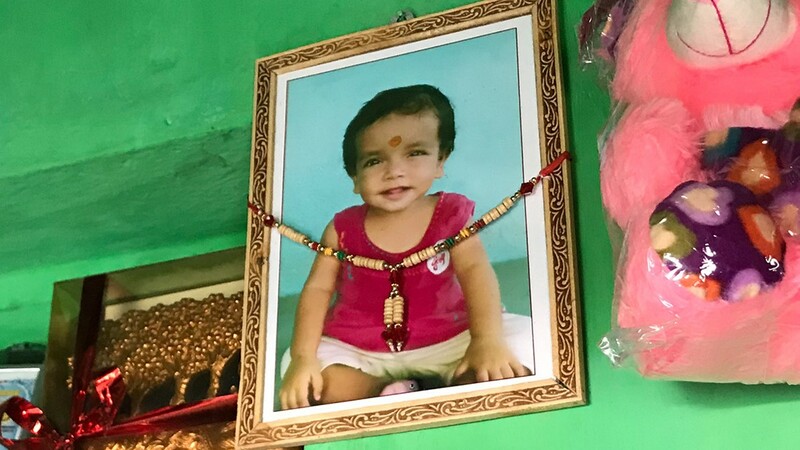 Her adoptive parents speak Malayalam, a common language in South India. Kumari says when Sini and Wesley came to adopt Sherin, Sini barely spoke any Hindi. Kumari says it was very difficult for her to let Sherin leave with her new adoptive parents, Sini and Wesley, but at the time she thought it was for the best. 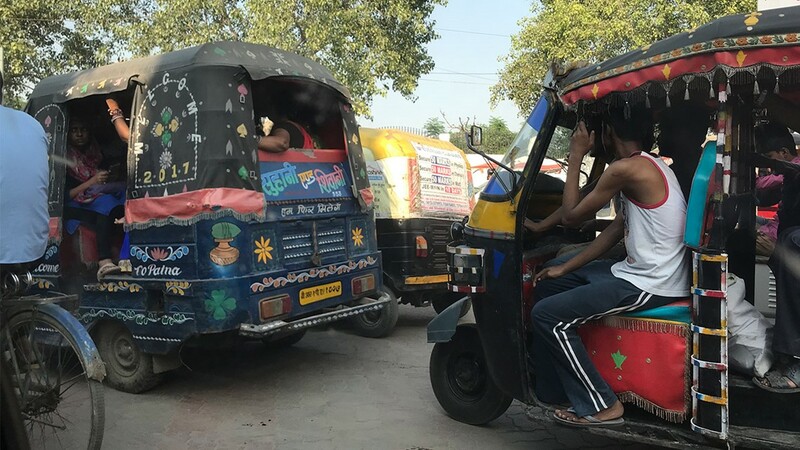 Kumari talked about how sending her to America meant better opportunities for her and a chance to be provided for better than she was in India. When Kumari looked at photos of Sherin throughout her short life, we asked Kumari what emotions she had as she looked at them. All she could say was that looking at the progression of photos taken at various points in her life, she sensed a "pattern of sadness" on Sherin's face. 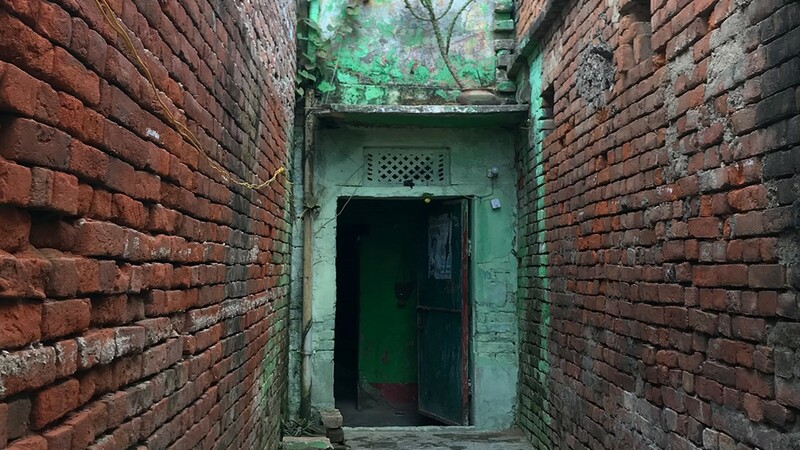 "This could have been avoided," Kumari said. "Saraswati [Sherin] should have been alive." Many have speculated about Sherin's developmental rate. The Mathews themselves even said she had an eating disorder. 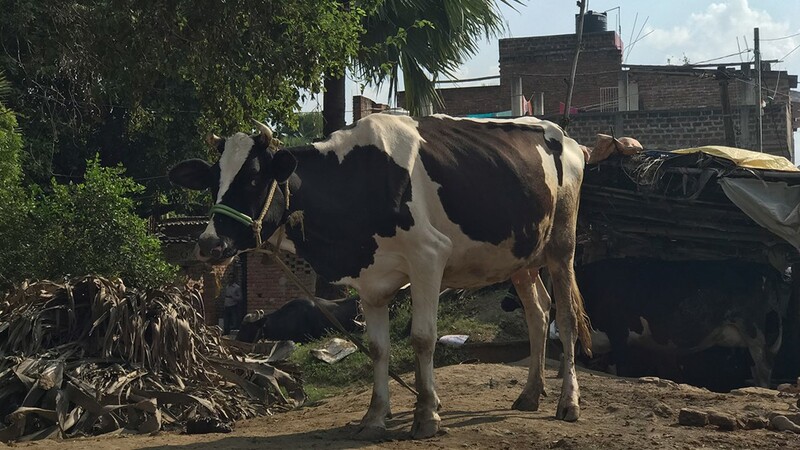 Kumari, however, says while she was in her care Sherin had no issues ever drinking milk or eating food. The only thing that set her apart from the other children was a crossed eye. Kumari said the Mathews couple appeared "loving." Before they were united, she said Wesley called often for updates and even "requested me to put a phone up to Sherin's ear." Kumari elaborated that this was so that Sherin could hear their voice over the phone. North Texans have demanded answers and have frequently taken to social media to express their thoughts and feelings from the moment Sherin was reported missing. A Facebook group called 'Love & Justice for Sherin Saraswati Mathews' has a following of over 9,500 members. The group contains concerned community members who want justice for Sherin and want to know every facet of how this story continues to unfold over time. The group is one of many that has been created as a place for people heavily invested in this story to come and share their feelings, memories, and updates on Sherin and her adoptive parents, Wesley and Sini. Strangers completely unrelated to the Mathews family have organized a series of vigils, search parties when Sherin was missing, and interfaith ceremonies, to honor Sherin's life. Eight trash bags and 15 bins filled with stuffed animals from Sherin's vigils have been cleaned and donated to children in need. 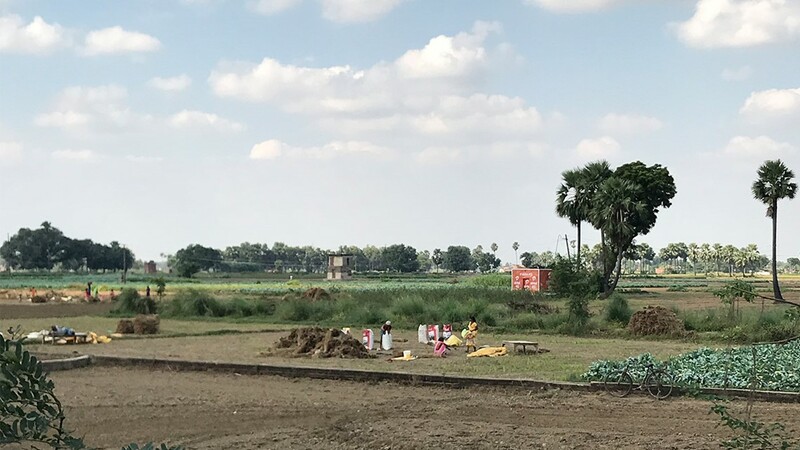 Community members are currently working on a permanent memorial for Sherin. They've already had one meeting to discuss a granite bench they'd like to put in a Richardson cemetery that has offered to provide the space. On Tuesday, Oct. 31, Sherin was laid to rest. The funeral was held "according to the religious beliefs and the cultural heritage of her family," attorneys Mitchell R. Nolte and Gregg Gibbs said in a statement. Her burial location is being kept a secret, the attorneys said. Sini was in attendance, along with close family and friends. Wesley was not. "Because of the intense press and social media attention in this case, the family chose to keep the ceremony private so the focus could be on Sherin’s future in Heaven and not on her tragic death on Earth," the attorneys said. They added that the family "cannot express their gratitude to everyone personally," but appreciates the outpouring of prayers and love during this time. 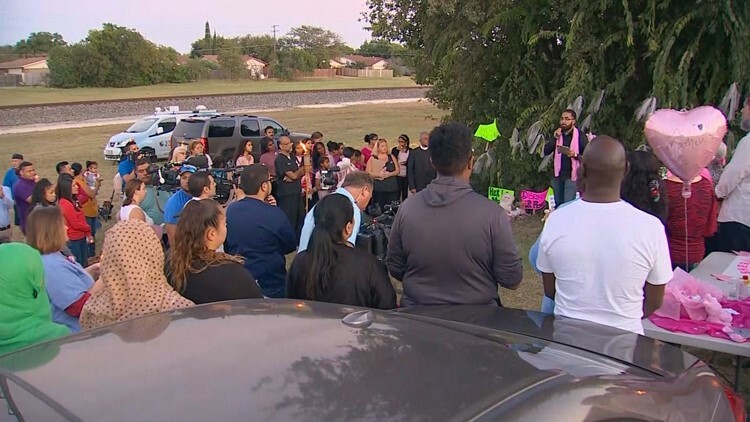 Seven weeks after Sherin Mathews' body was found, the location where she was laid to rest was released. 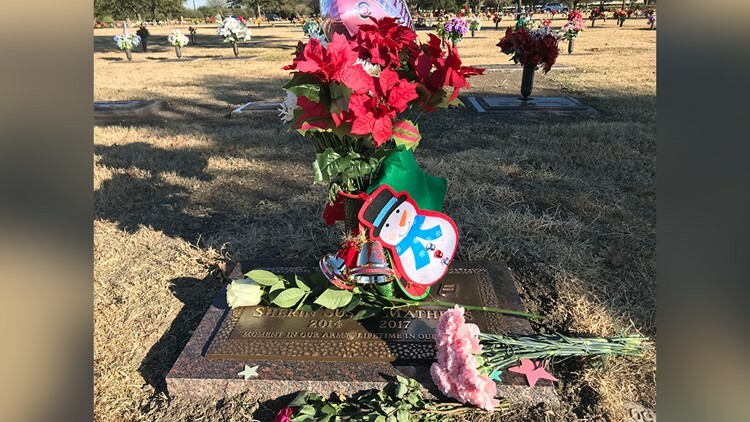 Sources close to the family tell WFAA that they wanted to wait until the headstone had arrived before releasing the location. The headstone reads "Moment In Our Arms, Lifetime In Our Hearts." A source close to the family says those words were chosen by Wesley. Three weeks later, on Thursday, Nov. 16, Sini Mathews turned herself into police. She is charged with abandoning or endangering a child and her bond was set at $250,000. 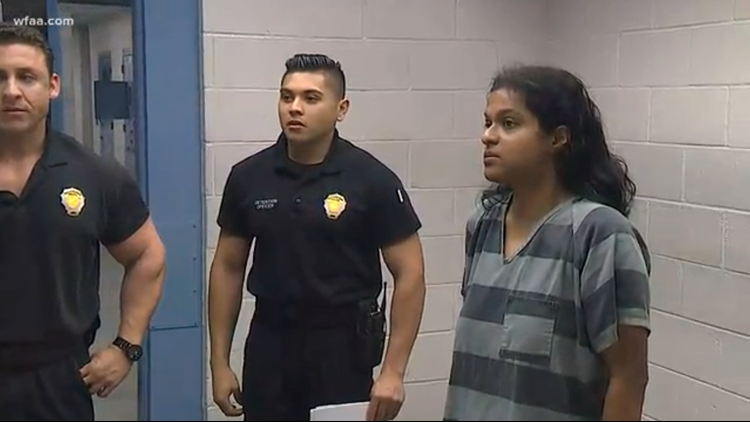 Sini Mathews in Richardson city jail. The charges came three days after Sini appeared in court for custody of the Mathews' biological 4-year-old daughter, who had been in foster care since Sherin's disappearance. An arrest warrant affidavit obtained by WFAA Thursday detailed what happened the day before Sherin was reported missing. According to the affidavit, Sini, Wesley, and their biological daughter went to a restaurant in Garland, leaving Sherin behind. "The Mathews family went out to dinner Friday evening, left Sherin behind without any kind of adult supervision or anything like that," said Sgt. Perlich. Cell phone records and receipts place Sini and Wesley at the restaurant the night of Oct. 6. The itemized receipt indicates that the family ordered one child's meal at the restaurant, which was also confirmed by the waiter serving their table. "We used cell records and financial records and then we were able to contact the people who worked at the restaurant," Perlich said. The affidavit says Sherin was left at home for an hour-and-a-half. When her adoptive parents returned, she was "still in the kitchen," they told police. The affidavit does not provide clarity on how or when Sherin died. Wesley and Sini both remain in custody at Dallas County Jail. The bond for Sini was reduced to $100,000 in a hearing on Monday, Nov. 27. At the center of the 9 a.m. hearing was testimony regarding whether or not Sini is a flight risk should she bond out of the Richardson city jail. Richardson police Det. Jules Farmer said the department received information that Sini requested her biological daughter’s shot records last month and they believe she may have planned to flee to India, possibly with a fake passport. Sini’s defense attorneys were calling for her bond to be reduced to the typical amount for a child endangerment charge ($500), which Sini faces after it was discovered she and her husband left Sherin home alone in the hours before her disappearance. 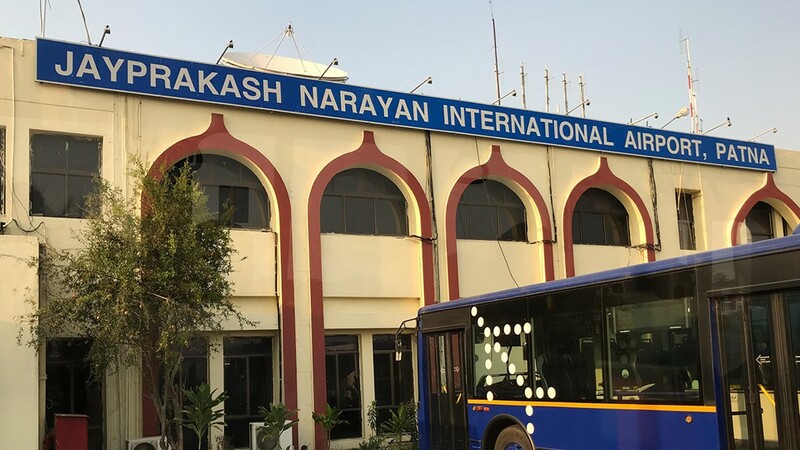 They argued there were no indications Sini planned to flee or produce a fake passport and if she requested shot records for her daughter, it was so the girl could be taken to stay with family in India but Sini would not follow. The girl is currently staying with family in the Houston area. Before the judge made her decision, the prosecution did not mince words in closing arguments. "This woman is wicked enough to leave a 3-year-old in her house while she and her husband goes to dinner,” 1st Assistant Mike Snipes with the Dallas District Attorney's Office said. “That shows a level of depravity in this woman's heart in and of itself." On Wednesday Nov. 29, the second CPS custody hearing wrapped up for the day over the Mathews' biological child. Wesley was expected to either surrender his parental rights for his 4-year-old daughter or have them terminated by the state -- neither of the two happened during this hearing because two more witnesses have yet to take the stand. Sini Mathews took the stand during the hearing as a witness, but invoked her 5th Amendment rights on most questions asked by the state in the 37 minutes she was on the stand. The state asked several questions about the night Sherin disappeared, as well as questions about alleged broken bones the 3-year-old suffered last spring. Sini was asked by the state if Sherin had a broken femur, elbow, and tibia between January and March of this year. She was also asked by the state if Sherin suffered another set of fractures in February or March, and whether Sini told doctors that Sherin had a Vitamin D deficiency, leading to her broken bones. Sini wouldn't answer those questions, and told the state that she plans to see her biological daughter in a supervised CPS visitation if and when she posts bond. Just after 2 p.m., Wesley Mathews took the stand, also invoking his 5th Amendment right. His attorney told him to look at him before answering any questions and then signed a hand signal of a "five" after several questions before the court recessed. The state said no 911 call was ever made. Wesley had called the non-emergency line when he first tried to seek help for Sherin. Following both Sini and Wesley taking the stand, three witnesses were called to take the stand as well. The first witness, Dr. Susan Dakil is a pediatrician also certified in child abuse pediatrics. Dr. Dakil says Sherin was hospitalized in Feb. 2017 and also had an elbow fracture in Sep. 2016. The explanation from Sini and Wesley for her September injury was that their oldest, biological daughter pushed Sherin off couch, resulting in elbow fracture. Dr. Dakil said in February Sherin Mathews was admitted for bilateral fractures. Sini said she slipped on slide and they had grabbed her. Wesley was not there to give that explanation. The pediatrician said Sherin was classified as a "failure to thrive" patient which means she was below the third percentile of the growth curve for children of the same age. She says Sherin continued to lose weight. A skeletal survey consisting of 23 x-rays was completed in Feb. 2017 which showed fractures in Sherin's tibia and femur, both in different stages of healing-- meaning there was more than one episode of violence and trauma. It's difficult for the pediatrician to say when they occurred however. 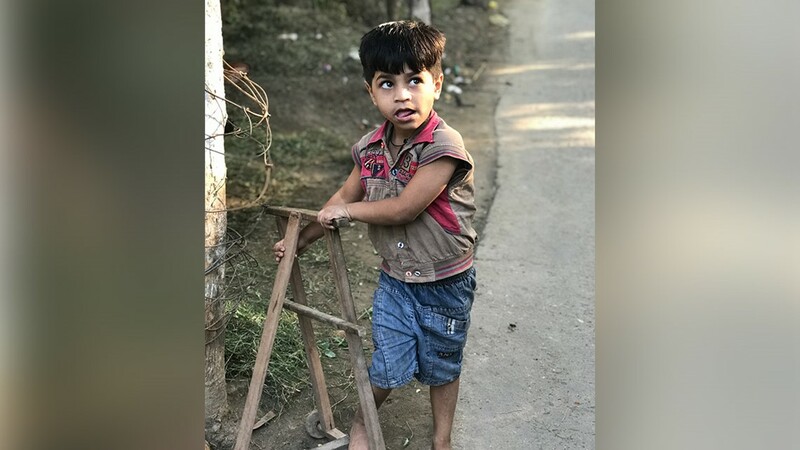 A second skeletal survey in March was completed and it showed further healing of fractures which would rule out the injuries happening in India prior to adoption like Sini had noted to Dr. Dakil. When Dr. Dakil reported her findings to Sini, that Sherin's injuries were not related to her time in India or from slipping on a slide, etc. Dr. Dakil said Sini responded with fewer questions than she had anticipated. Dr. Dakil said she filed a CPS report and called the hotline. She tried to find other explanations to Sherin's injuries but could not. The pediatrician said when she told Sini that she was going to alert CPS based on her findings of the condition of Sherin's body, Sini said she didn't approve and that involving CPS would disrupt the family's weekend plans. Around 4 p.m., the hearing concluded for the day leaving two more witnesses to take the stand. The judge said they will continue to hear from two more witnesses and court resumed on Dec. 5 at 9 a.m. The Child Protective Services commissioner, in an exclusive interview with WFAA, said he is disappointed with the department's investigation in the Sherin Mathews case and promised to get to the bottom of it. WFAA's Cynthia Izaguirre sat down with Hank Whitman, who serves as the commissioner for the Texas Department of Public Safety. Some of the questions have been edited for brevity and clarity. While in India, WFAA spoke with Dr. Ashok Choudary at his compound. Dr. Choudary is the former president of Bihar Congress and Bihar Minister of Education. Choudary spoke about his work in education and his current role in the upcoming legislative session. On Wednesday, Nov. 27, all 74 members of the legislative body will gather to discuss new action items. He said the adoption process and relations with the United States will definitely be a topic of conversation. 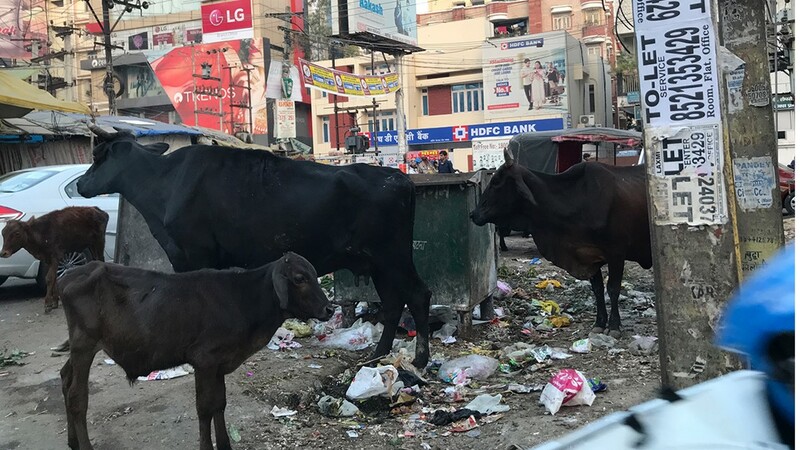 Activists in India have called for adoption laws and processes to change immediately. "I think [prospective] parents should stay in the city where the child is before adoption so they can really get to know the child and make sure it's a good fit," Choudary proposed. Choudary spoke about the stigma surrounding the South Asian community when it comes to adopting and couples who decide to adopt. He said maybe the pressure of this stigma and difficulties the Mathews say they had with Sherin contributed to them being unable to care for her. Arun Dohle, an activist with an organization called "Against Child Trafficking," says intercontinental adoptions must come to a halt. "American parents should take care of American children, and India is able to take care of its own children," he said. "It should just be stopped." 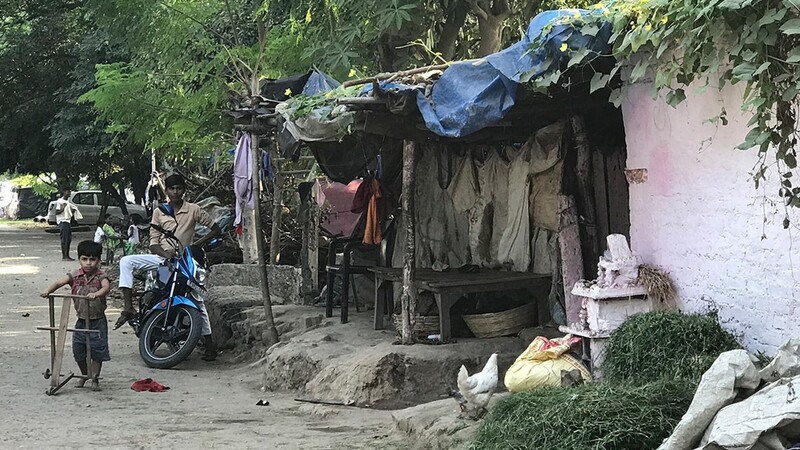 Dohle said he doesn't like the violation of children's rights and very little resources are being established to administer proper care in India. "The point is that the Indian government has no way of following up with what happens to U.S. children," he said. At that point, Dhole says, the entire Indian country has essentially abandoned the child. Following Wesley's arrest, Richardson police met with the Indian consulate to go over adoption procedures. The exact role the Indian government will play is unclear at this time. 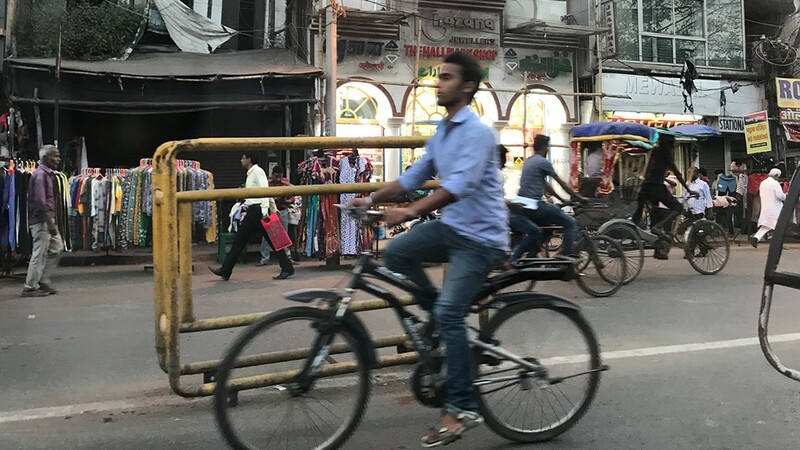 India has suspended an American adoption agency for what the government says was "negligent" behavior in the assessment of adoptive parents. 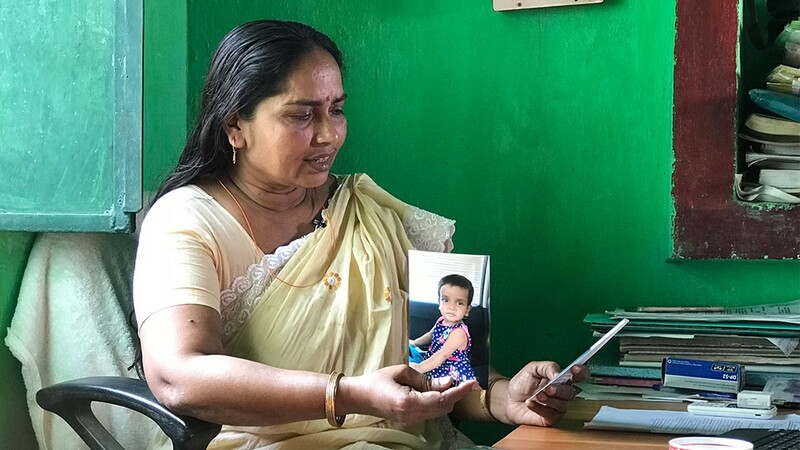 Women and Child Development Minister Maneka Gandhi and CEO of The Central Adoption Resource Authority (CARA) Deepak Kumar made the formal decision to suspend Holt International, the adoption agency used by Sherin Mathews' adoptive parents Sini and Wesley Mathews. CARA is India's managing agency for adoptions. In a tweet, Kumar said CARA found negligence in the assessment of the adoptive parents and also in the post placement assessment of the family. The family Kumar refers to in his tweet is not explicitly noted as Sherin Mathews' however Indian media has confirmed that this is the reasoning behind the move and is the family he references. On CARA's website is the adoption procedure for interested non-resident Indian, overseas citizens of India and foreign prospective adoptive parents. There is no information available at this time on what exactly was negligent about their findings throughout this process. 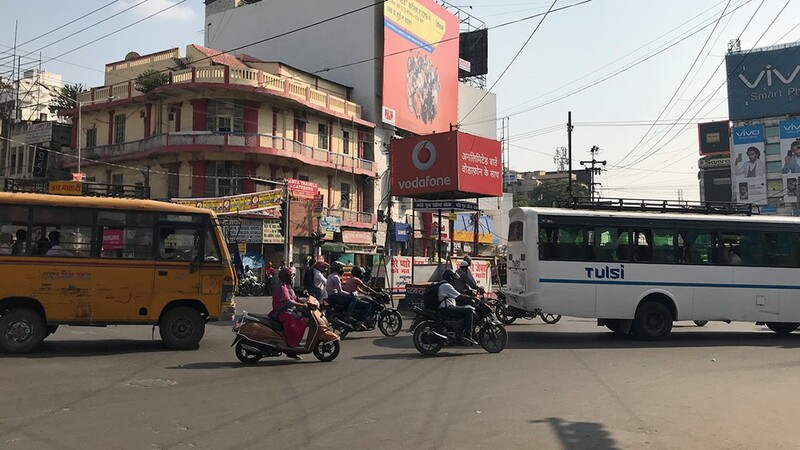 "Further decision on the revocation of its authorisation shall be taken on getting the detailed report from the US Central Authority and the Indian Embassy in the USA," Kumar said. In a statement to WFAA, Holt International said they are saddened by Sherin's death. "During the Mathews' adoption process, Holt International, as well as our partner agency in Texas, followed all national and international adoption policies, procedures, laws and best practices," they wrote. 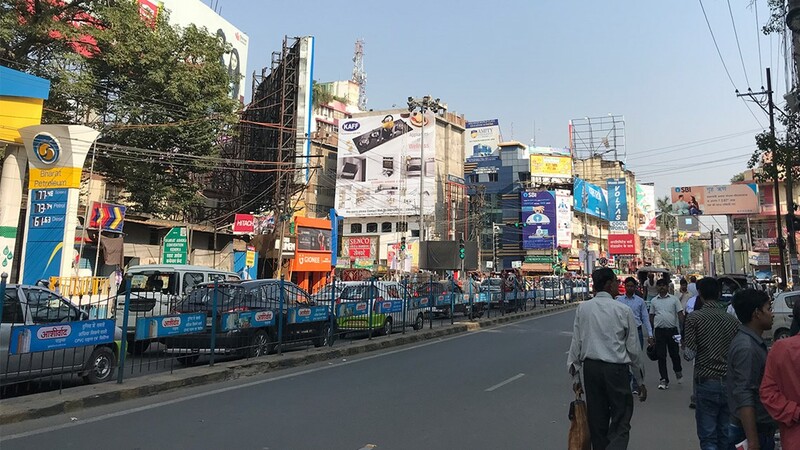 CARA has called for partner agencies to make sure that interested applicants who want to adopt a child from India have an evaluation of their psychological condition conducted by a licensed practitioner. The organization added this requirement in December. 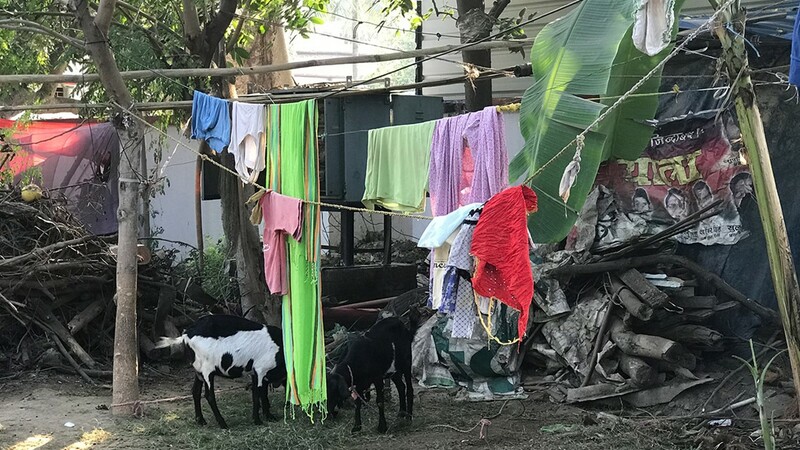 "We have already made the Psychological assessment of the Prospective Adoptive Parents mandatory for which circular has already been issued to all Authorised Foreign Adoption Agencies," Kumar said. Holt International has been serving children and families in India since 1979. Since the suspension, their homepage has been updated and states that they are not accepting new applications right now. Their website states they have found families for "more than 1,480 children through international adoption." "Despite our strong belief that we were in proper compliance with all national and international procedures, in response to Sherin’s death we are reviewing each step of our adoption process and working with all relevant government authorities to determine how we can do even more to protect adopted children," Holt International told WFAA. WFAA has reached out to CARA, Kumar and Gandhi but has yet to hear back. Holt International says they will be able to work with families again once the temporary suspension is removed. In the meantime the families affected will work with other agencies with programs in India. "We have been very grateful for the understanding of our families and the support from other agencies," said Holt spokeswoman Susan Cox. Wesley and Sini decided to give up parental rights to Sherin's older sister. The couple signed relinquishment paperwork for their biological child Friday, Jan. 26 ahead of their their scheduled final CPS hearing. While in foster care, Sini had been able to visit with the child once a week. During a custody hearing on Dec. 5, the court denied the Mathews any right to see their biological child. The court had found aggravated circumstances and has denied the Mathews parents of seeing their biological child until a former civil trial had taken place. CPS was not required to provide any family reunification services and the biological child was able to live with relatives in the Houston area. The Mathews were expected back in court on Jan. 3, it was delayed until Jan. 26. The purpose of that hearing was to officially determine custody of their biological daughter. Attorneys for both clients asked the judge for a delay so they could work on an agreement between both parties. Termination has severe and long-lasting consequences. Following termination, the parent and child no longer share a legal relationship and this decision is irreversible once completed. Basically, the child is legally free to be adopted by someone else. Officials who have reviewed a copy of Sherin's autopsy report confirmed to WFAA that she died of 'homicidal violence,' the deliberate and unlawful killing of one person by another. A cause of death could not be determined due to extensive decomposition, the official said. Attorneys for Sini and Wesley received copies of the autopsy report on the evening of Jan. 2. The attorney representing Sini said the report, received from the Dallas County District Attorney’s Office, does not implicate her in Sherin’s death. 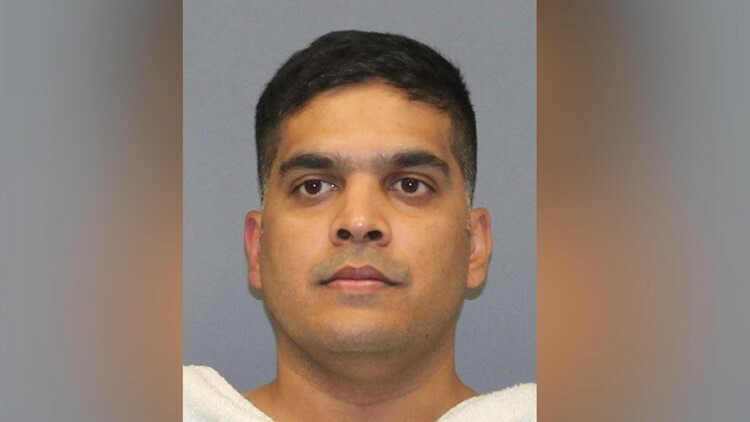 There is nothing in the autopsy results that indicate Sini Mathews had anything to do with the death of Sherin Mathews,” Mitch Nolte told WFAA in a statement late Tuesday. Nolte did not provide more specific comments on the findings because he was not aware if the report had been made public. On Jan. 12, a grand jury indicted Wesley Mathews on capital murder and tampering with evidence charges in Sherin's death. Wesley now faces life in prison or the death penalty. He was also indicted for injury to a child, which is punishable by five to 99 years in prison, as well as abandoning a child. Sini was indicted Friday on a charge of abandoning a child. The punishment for that ranges from two to 20 years in prison with a fine up to $10,000. Sherin's death has sparked a kind of advocacy that brought two strangers together: Reena Bana and Shanna Poteet. It is a change they would hope to title "Sherin's Law." Sherin's Law would make it a felony to leave a child at home alone. Richardson Police told WFAA that Wesley had told investigators they left for dinner the night prior to her disappearance. Wesley, Sini, and their biological daughter had gone to dinner on Friday night. "No children under 9 or 10 years old need to be left unaccompanied at home," said Shanna Poteet. Attorney Bilal Khaleeq practices family and criminal law. He has been helping Bana and Poteet in their quest to make changes at the state level. The group's hope is to also push for reform to Child Protective Services. "The Texas books don't have a minimum age for a child to be left alone," said Khaleeq. The long-time attorney said the current law really leaves it to the parent's discretion whether a child is mature enough to be left alone. Ages nine, ten, and even 12, have been mentioned as minimum age requirements for the law. "We still have some meetings with representatives to find out what the best age for that is," said Poteet. Sherin's Law would also make it a felony for not reporting a missing child within a few hours. Bana said there are laws from other states that address this, but not Texas. Bana referenced Caylee's Law, which was adopted in states like Florida. The law "makes it a felony for a parent or legal guardian to fail to report a missing child, in cases where the parent knew or should have known that the child was possibly in danger." Khaleeq said there may be some overlap in laws like with current endangerment and abandonment changes. Sherin's Law would make it more black and white. "That could be a law that requires a parent to take some responsibility, especially if they have something to do with that child being missing," the attorney said. It is the beginning of what will likely be a long advocacy road. The group told WFAA that several representatives locally have already indicated interest in lending help to Sherin's Law. The couple had their first court setting Feb. 20 in which a pass was granted, a new court date was scheduled for March 7 in which a pass was granted also. Their next setting is for March 22. Sini and Wesley have been to court once already in a Child Protective Services case for their biological child. It is during this hearing that information was released about the conditions in which Sherin was forced to live in prior to her death. The state asked Sini about reports of Sherin's broken bones and fractures she had endured and her being classified as a "failure to thrive" patient because of her continuous weight loss. After several hearings, the couple voluntarily relinquished their parental rights to their biological child. She is living in the Houston area with relatives and neither Sini nor Wesley may legally have contact with her. Now that the two are returning to court for their criminal charges, we wanted to take some of the most asked questions surrounding the case to an attorney for answers. WFAA sat down with Dallas attorney, Shaun Naidoo who practices both criminal and civil law to explain and understand the trial process. Why are their two separate criminal trials for Sini and Wesley? Both Sini and Wesley individually have separate charges. Sini is charged with abandoning a child, which holds a punishment that ranges from two to 20 years in prison with a fine up to $10,000, a second degree felony and could be eligible for probation since she doesn't have a past criminal history. Wesley is charged with capital murder and tampering with evidence. He now faces life in prison or the death penalty. The district attorney has not said whether they will seek the death penalty at this time. He was also indicted for injury to a child, which is punishable by five to 99 years in prison, as well as abandoning a child. Is this average timing for the case to be heard or should this have come to criminal court faster? Because of the complexity of the case (evidence, forensics, DNA, etc.) these announcement settings or "passes" are taking place and likely will continue for several months. This is so that all parties involved can see all the documents and evidence involved. What exactly does a pass or announcement setting mean? What happens during these dated settings? On an announcement setting, Sini or Wesley are not expected to physically be present or be brought over from jail. These settings are a time for the defense attorneys and the district attorney to have closed-door, informal talks to discuss the evidence gathered in these cases: autopsy reports, forensics data, DNA collected, etc. Who determines a pass or announcement setting? Is there a limit on how many passes can occur before they have to begin hearing the case at a jury trial? Depending on the court, there is a limit on how many passes can be made in a case. Each court has their own limit. On average a case can be passed anywhere from 10-25 times before a plea bargain hits the table or the case is taken to a jury trial. This process usually takes place over the course of several months. The court coordinator is typically the one in charge of facilitating announcement settings. Do the defendants have to show up every time? No. The reason why the Mathews were present during their CPS hearing is because the court was trying to determine their parental rights through witness testimony and questioning. CPS is dictated by the family code, criminal court is dictated by the code of criminal procedure. Are these settings open to the public like the Mathews' CPS hearing was? No. Since these are discussions between defense attorneys and the district attorney, there is no formal setting inside a courtroom for the public to listen in on. If and when the case goes to a jury trial and unless the judge states otherwise, the public may attend then. How will we know when the case goes to a jury trial? If that is the case, the court coordinator will post that information on the Dallas County courts website. They will formally set a date and the process to find a jury will begin. In Wesley's case, he is charged with capital murder, a charge that requires a detailed, thorough process of jury selection. Can Sini or Wesley still get out of jail? Yes. During these announcement settings or passes, Sini or Wesley could still post bond. Sini is being held with a $100K bond and Wesley is being held with a $1 million bond. If either of them do, they will then be required to appear at each court announcement setting as part of the terms of their bond. It's important to note if and when either of these cases go to a jury trial, the time that Sini and Wesley have spent in jail leading up to the jury trial can be applied to their sentencing. For example, if Sini is convicted on the child abandonment charge, the time she has already spent in jail will apply-- this is called back time. A Child Protective Services report released Tuesday detailed the agency's investigation into a prior allegation of child abuse involving Sherin Mathews in which officials "found insufficient evidence" that her adoptive parents abused her months before she died. The report detailed a CPS investigation from March 2017. Sherin Mathews had been hospitalized in February 2017 after her adoptive mother "noticed swelling around [Sherin's] right shoulder," the report said. Sini Mathews reported that Sherin had fallen on a slide at the park, the report said. Doctors diagnosed Sherin with a skin infection and fractures on her shoulders, and X-rays revealed a previous injury, a fracture of her left leg, the report said. The report said "although there were no concerns regarding the child's previous injuries, the new injuries were not consistent with the explanation given." The issue of Sherin's weight was also raised in the investigation. Both parents said Sherin had health problems when they adopted her from India, including being underweight. Sherin had trouble gaining weight and was a picky eater, her mother said, according to the report. Sherin had weighed 15.47 pounds when she was adopted and had gained about four pounds since then, her mother said. Doctors and specialists "denied having concerns about abuse and neglect while the child was with her adoptive parents" and that Sherin "was in better health and at a better weight following her adoption." Authorities investigated the report but did not file charges. CPS found "insufficient evidence to determine if the deceased child was physically abused by her mother." "An unknown perpetrator was confirmed for the physical abuse...which may have happened prior to her adoption," the report said. "The allegation of physical neglect of the deceased child by her parents was not confirmed." "There were concerns that the child's injuries were not consistent with the explanation given and that the child had been physically abused," the report said. CPS interviewed Sherin's parents, who "denied harming the child," the report said. Her mother said she had taken Sherin to a park, where she fell and her mother tried to grab her arm to break the fall. Sherin's father told investigators that Sherin slipped and fell while on monkey bars at the park, the report said. When asked about Sherin's previous arm fracture, Sini Mathews told CPS that Sherin fell while jumping on the couch with her sibling, the report said. CPS contacted medical officials, who "stated there were no concerns about the previous injury because the story was consistent with the child falling off the couch." The medical officials said the fractures in Sherin's shoulder injury were "questionable," the report said. "There were bony growths and other unusual issues with the child's bones," the report said. "The child's bones do appear to be healing correctly, which mean older medical issues, such as rickets, were no longer an issue." A judge reduced the bond Wednesday August 1, on three charges for Wesley. His bond was reduced from $1 million to $500,000 on the capital murder and injury to a child charges and from $250,000 $100,000 on the tampering charge. Mathews' attorneys filed a request on July 31 to have the bonds lowered "because the bonds are excessive," according to the filing. The attorneys asked for the bonds to be reduced "to a reasonable amount in order that [Mathews] will have an opportunity to obtain release from incarceration." Mitchell R. Nolte filed a motion to withdraw from the case as of Sept. 6. According to court documents, Sini Mathews "failed to comply with the terms of the employment agreement and has been unable to make further financial arrangements." She continues to be held at the Dallas County Jail on a $250,000 bond. According to Dallas County court documents, she is scheduled for trial on Jan. 14, 2019. There will be a pretrial hearing in Dec. and another hearing in Jan. before the trial. Wesley Mathews has a court setting in Oct. No trial date has been set for him yet. It's been a little over a year since Sherin Mathews was reported missing from her Richardson home. The story of her whereabouts and death has continued to make headlines worldwide leaving so many with unanswered questions. Three weeks after Sherin's body was found in a culvert near the family's Richardson home, Sini turned herself into police and was charged with abandoning or endangering a child. Her bond was set at $250,000 but was reduced days later to $100,000. Her lawyers have been working through court settings for the past year and she has not bonded out. Because Sini "failed to comply with the terms of the employment agreement and has been unable to make further financial arrangements" the lawyer that has been with her since the beginning, Mitchell R. Nolte has dropped out of the case. On January 17, a judge denied Sini Mathews' request to have her bond lowered regarding her child abandonment charge. Sini Mathews has been in the Dallas County Jail since Nov. 16, 2017 when she turned herself in. Bail was originally set to $250,000 and reduced to $100,000 despite questions of flight risk. Her attorneys asked that the bond be reduced to what the typical bond schedule for child endangerment which is $2,500. A judge denied the request and it will remain at $100,000. Should she post bond, she is required to abstain from alcohol, illicit drugs, weapons, contact with minors and she must remain in Dallas County. Sini Mathews' attorney, Heath Harris says they want her to be tried separate from her husband, Wesley Mathews because she wants her own day in court. Wesley was arrested on a child endangerment charge and a judge set his bond at $250,000. He was released from jail a day later. On Oct. 23 after his stories to police conflicted one another he was re-arrested. The court had found aggravated circumstances and denied the pair the right to see their biological child until a former civil trial had taken place. After a few Child Protective Service hearings to determine custody of their other daughter, the Mathews relinquished their parental rights to her. This means the parents and the child no longer share a legal relationship, a decision that is irreversible. The child is currently living with family members in the Houston area. 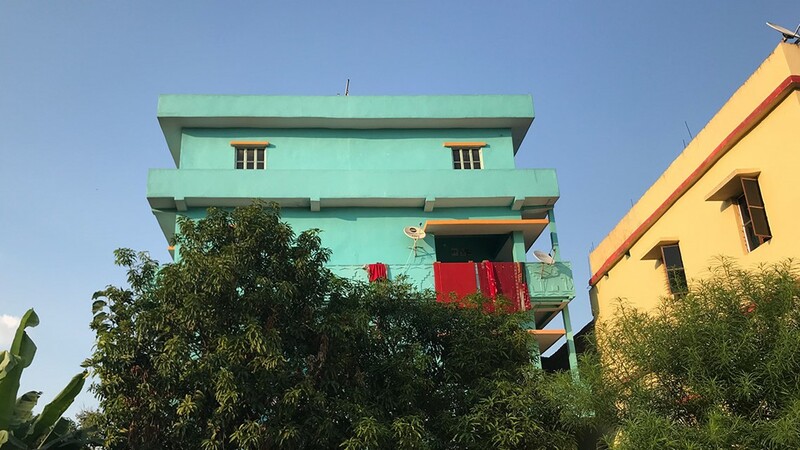 Holt International, one of the larger adoption agencies recognized by India and the United States has since been suspended for what the Indian government says was "negligent" behavior in the assessment of adoptive parents, Wesley and Sini. Holt International has been serving children and families in India since 1979. Since the suspension, their homepage has been updated and states they are not accepting new applications right now. Their website says they have found families for "more than 1,480 children through international adoption." According to Dallas County court documents, both Sini and Wesley are scheduled for trial in January. Both have court settings where we will find out more on when trial will begin. 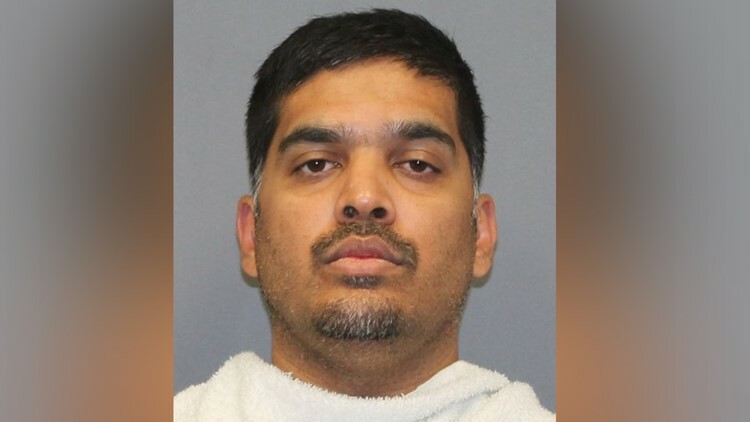 The child endangerment charge against the adoptive mother of Sherin Mathews in the Richardson 3-year-old's death has been dropped due to a lack of evidence, the Dallas County district attorney's office announced Feb. 28. Sini Mathews was released from jail early that same day. Her husband, Wesley Mathews, still faces a capital murder charge in Sherin's death.